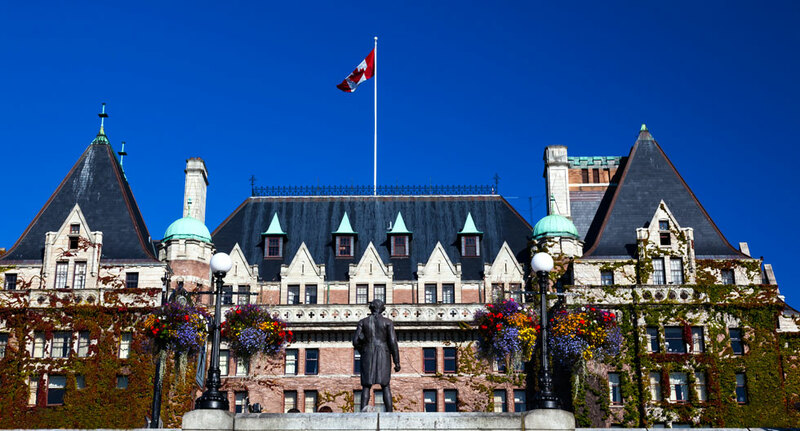 Dynamic and forward-thinking, Victoria offers an enticing blend of heritage, nature and 21st-century flair. One such example is Fairmont Empress, where a $60 million restoratation transformed this 1908 waterfront landmark, with stylish reimagined guest rooms and public spaces. Spend a couple of days in British Columbia’s charming capital city, and you’re sure to leave wanting more. For a whirlwind tour of the city, you’ll need to get the right start. 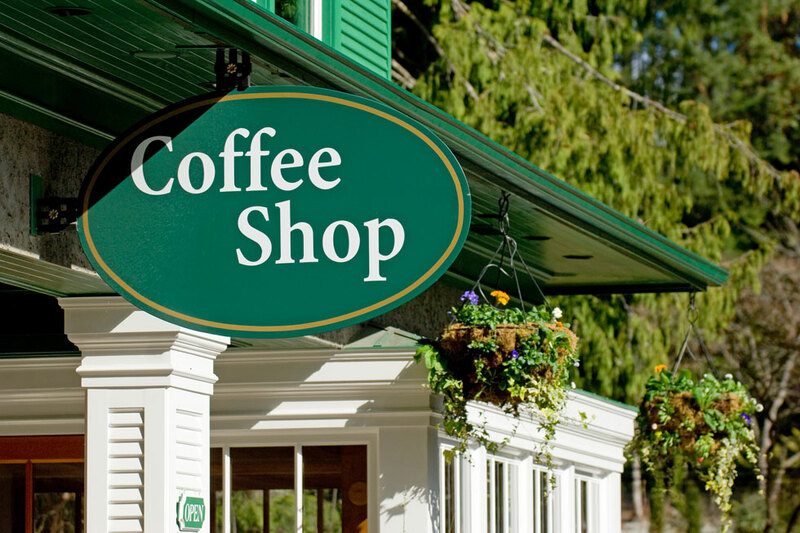 Thinking of Victoria, you might think of tea, but coffee drinkers also have their pick of a hip collection of cafés. Discovery Coffee roasts its beans in-house and pairs carefully crafted brews with home baked, decadent and sugary Yonni’s Doughnuts. The Discovery Coffee’s original location and roastery are on Discovery Street, but for sunshine and people watching, pull up a chair on the terrace of its sister café on Blanshard. Alternatively, get your java fix at Habit (branches in Chinatown and in the ultra-modern Atrium building); Habit sources its beans from local specialist Bows & Arrows Coffee Roasters. Or pop into tiny-but-chic Hey Happy on Johnson Street for coconut milk iced lattes and Americanos topped with maple cashew foam. The best way to get your bearings is a 20-minute seaplane tour with Harbour Air, departing downtown from the city’s Inner Harbour. 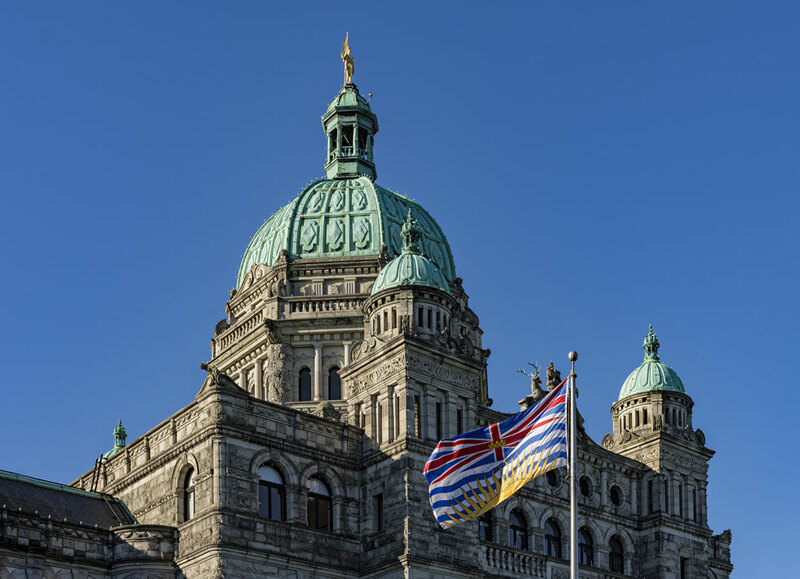 Flights soar above Victoria and its surrounding coastline, giving you a bird’s eye view of colourful 19th-century buildings, elegant homes overlooking Juan de Fuca Strait and the towering Olympic Mountains to the south. 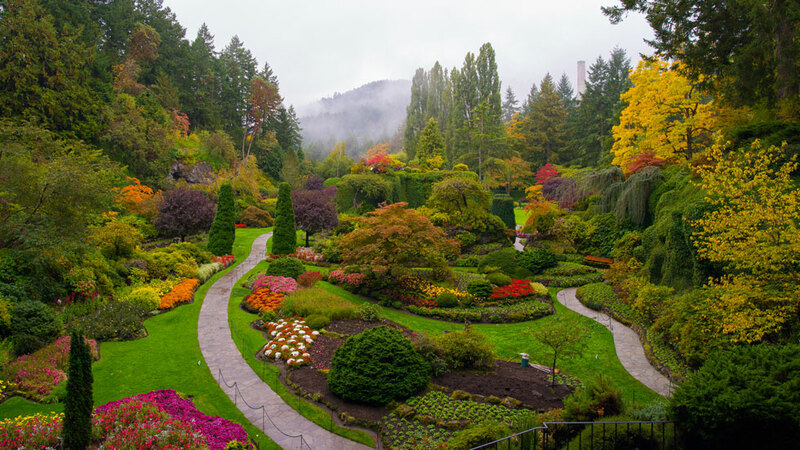 A 35-minute extended tour whisks you to the northern tip of Saanich Peninsula, with sweeping views of nearby islands and an aerial vista of the century old Butchart Gardens. Grab brunch at 10 Acres Bistro, a restaurant passionate about its farm-to-table ethos. A large portion of the bistro’s produce comes from its namesake farm in North Saanich, just 25 km away. The seasonal menu makes use of organic veggies grown from heirloom seeds, free-range duck eggs and turkey meat and a home-produced range of fruit jams and chutneys. Locally sourced seafood and ingredients from nearby farms round out the menu, so you might find yourself digging into Chinook smoked salmon benny with house-pickled onions or munching a classic farm breakfast of pasture-raised farm eggs and house-made bacon. You could spend the afternoon shopping or museum hopping, but why not combine a bit of sightseeing and exercise with a brewery tour? Victoria has a flourishing craft beer scene, with more than a dozen breweries producing an ever-increasing range of inventive brews, including Canada’s original brewpub, Spinnakers. You can discover more about the city’s beer history on the Pedaler’s Hoppy Hour Ride, a three-hour guided bike tour with tastings along the way. 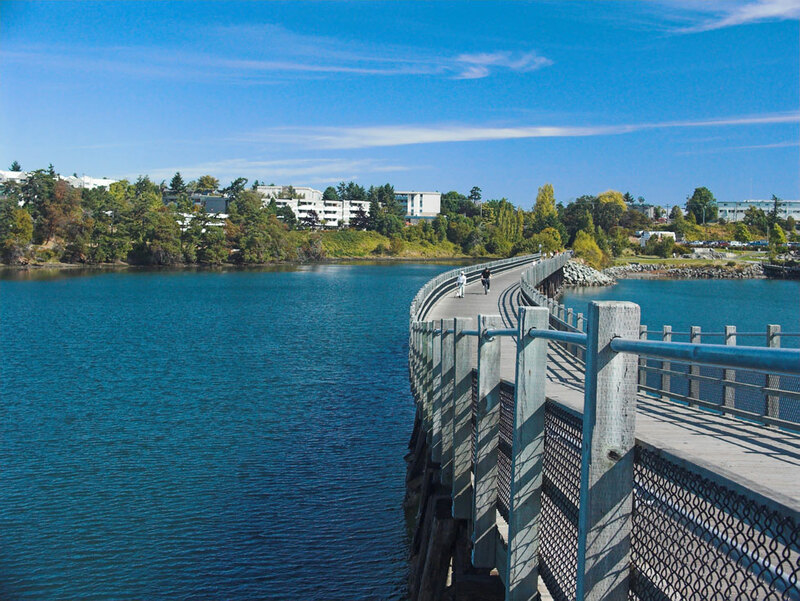 You’ll also whiz across the Selkirk Trestle, a 300-meter fir and hemlock bridge crossing the Gorge Waterway and part of the 55-km Galloping Goose rail trail. Begin your evening at Q Bar, the stately yet modern bar at Fairmont Empress; the sleek contemporary furnishings provide a smart contrast to the venue’s distinctive cherrywood ceiling. You can order a mountainous seafood platter to share or sample plates of oysters and artisanal local cheese. Be sure to try an Empress 1908 G&T. The hotel’s eponymous gin is produced by Victoria Distillers and counts grapefruit peel, ginger root and the Fairmont Empress tea blend among its botanical flavourings. Butterfly pea blossom lends it an indigo hue, but adding tonic transforms the gin’s colour into a vibrant pink. Other smart spots within walking distance include Little Jumbo on Fort Street and OLO on Fisgard, both known for their focus on local, sustainable food and creative craft cocktails. Fuel up with a breakfast of Belgian waffles or classic eggs Benedict at The Empress, and then begin your second day by exploring the city from the water. You can rent stand-up paddleboards, kayaks and canoes by the hour or day from Ocean River Sports, either from its downtown location on Swift Street or, in summer, from its shack in Oak Bay Marina. If you prefer to venture out with an experienced kayaker, join one of the store’s guided tours. 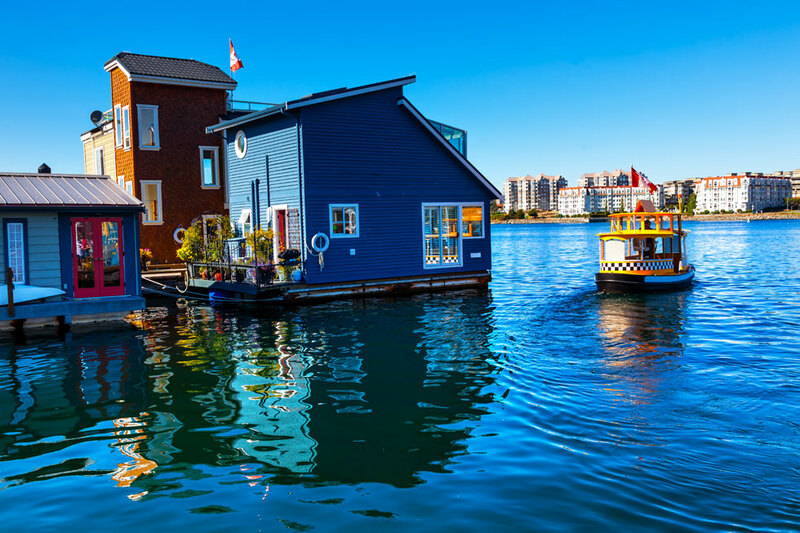 On a half-day Victoria Harbour Kayak Tour, you’ll weave among seaplanes, mini ferries and yachts as you gaze at the Rattenbury designed Parliament Buildings and brightly painted float homes. Keep your eyes peeled for seals and bald eagles. After you’ve worked up an appetite, head to the cluster of food trucks tucked into the courtyard behind the Royal BC Museum. Here, you can feast on perogies and West Coast salmon or chow down on fish tacos and burgers topped with pickled beets. For indoor options, head to Fort and Blanshard, a growing foodie hub of small restaurants dishing up everything from Spanish tapas to Middle Eastern snacks. To remember your visit, hunt for cool indie finds in Victoria’s walkable downtown by making your way to Lower Johnson Street, aka LoJo, whose heritage buildings house an eclectic selection of independent boutiques. Baggins Shoes stocks an enormous range of Converse and Vans shoes, while Still Life's separate stores for men and women specialize in small international fashion labels. The Regional Assembly of Text is a paper addict’s dream, crammed with offbeat greeting cards, delightful notebooks and typing stations, where you can buy notepaper and revive your letter-writing skills. Around the corner, in skinny Fan Tan Alley, take the time to indulge in organic, small-batch ice cream from Kid Sister. Popular flavours include lemon meringue and London fog. 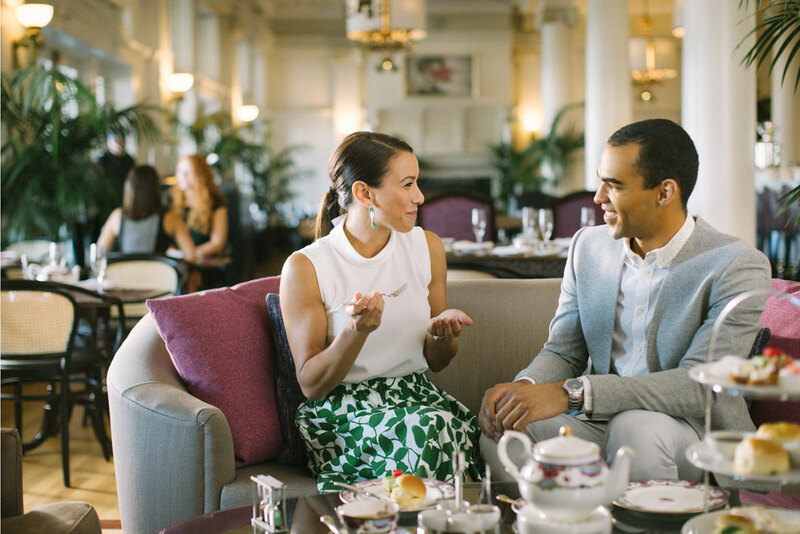 After you’ve found all your treasures, it’s time for what many consider Victoria’s most quintessential experience, Tea at the Empress. This century-old tradition has taken a chic new turn thanks to the glamorous refit of the hotel’s Lobby Lounge where, amid a sophisticated setting, you can nibble on house-made scones and a mouth-watering array of pastries and sandwiches. There’s a choice of 21 loose-leaf teas, including the hotel’s signature Empress Blend. Cap your visit with an evening enjoying the lively arts. 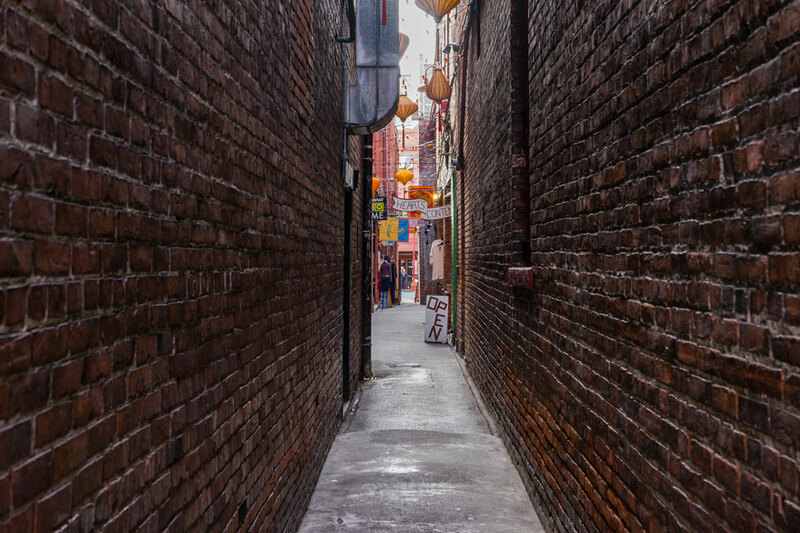 Victoria’s vibrant cultural scene encompasses a clutch of intimate theatres within easy reach of downtown. In the artsy Fernwood area, the Belfry Theatre stages contemporary Canadian drama in a former church. From April through August, you can catch an innovative line-up of both classic theatre and musicals at the non-profit Blue Bridge Repertory Theatre in up-and-coming Quadra Village. For high quality amateur productions, check the schedule of the Langham Court Theatre, a 177-seat venue in Rockland, a leafy neighbourhood known for its Arts and Crafts mansions. When you’re ready to plan your 48 hours in Victoria, reach out to the concierge staff at Fairmont Empress for a memorable visit to British Columbia.